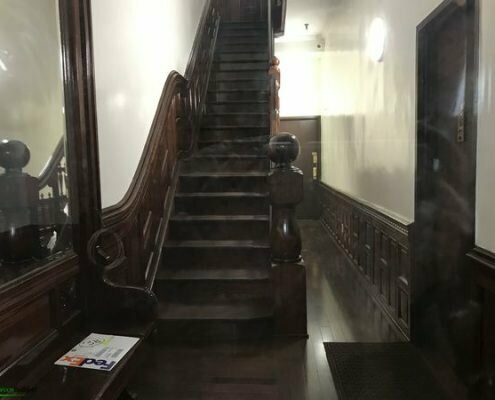 Located on the upper West side apartment on Riverside Drive in old building with some beautiful exterior features. 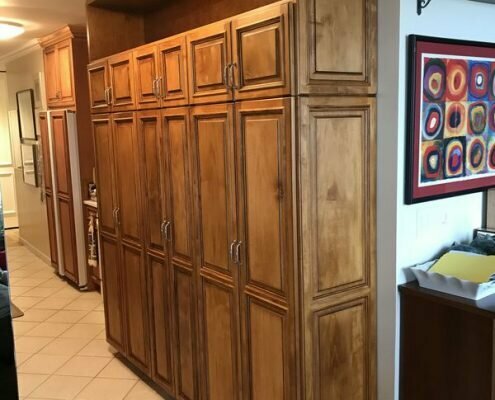 In this project we were asked to build two custom made walk-in closets. 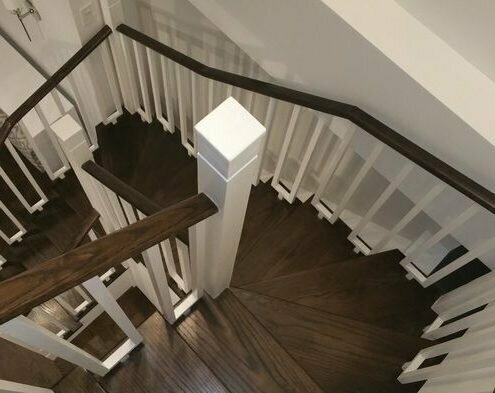 Due to the time frame, they had to be built in a short period. 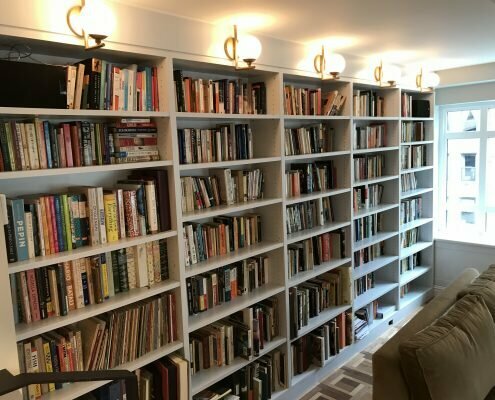 The job had to be coordinated with the general contractor, designer, electrician and plumber. 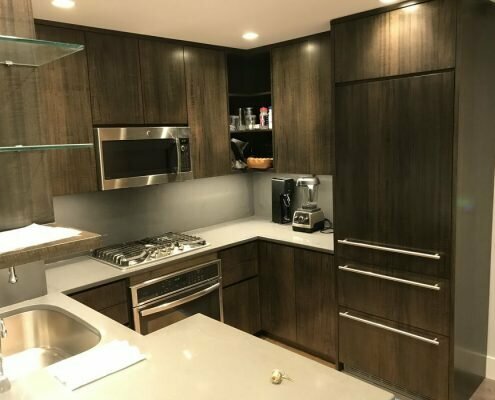 We fabricated the cabinet carcasses very fast, we delivered and installed them so the electrician, plumber and general contractor could do their portion of work. In mean time, we were working on the custom cabinet fronts with recessed panels, shaker style just like the two closet doors that we also made. The fronts had satin white lacquer finish, the cabinets boxes were made of pre-finished maple. The doors had Blum soft close concealed euro style hinges, the drawers by Blum Tandem blue motion soft close. Every cabinet interior was illuminated by LED strip lights enclosed in aluminum channels. The larger closet had a large removable panel that in case of an emergency, the plumber could easily remove it and gain access to the radiator and AC unit. Crown molding was installed only within our cabinets in larger closet. If you have lots of clothes closets like those would be a great solution to organize your stuff.